You are a kage ("Kah-geh"), a ninja leader with mastery in the hidden skills of your clan. 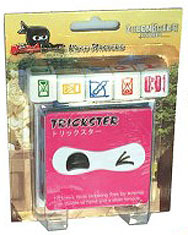 In this expansion for Ninja Dice, choose from 5 different characters, each with their own die, character card, and unique abilities! Requires Ninja Dice to play.